Whether it’s a weekend getaway, a family vacation or special occasion, your FRONTIER Milessm can take you to some pretty amazing places. Aún mejor, canjear millas será tan sencillo como ganarlas. USE YOUR MILES FOR FLIGHTS. Don’t let those miles burn a hole in your pocket! All it takes is 10,000 FRONTIER Miles to get a one-way domestic flight. Where you go is entirely up to you. Not a member? Sign up to today! AN AWARD FLIGHT IS JUST A FEW STEPS AWAY. You can easily redeem the miles you have earned for an award flight today! Make sure you are logged into your myFRONTIERsm account before completing your booking. When booking a flight, search by "miles" (instead of dollars). This will also show how many miles are needed for your desired trip. View our redemption levels below for more information. If you have enough FRONTIER Miles for your flight(s) you can continue your booking! Keep in mind, taxes & fees (starting at $5.60) and a redemption fee (don't worry there's ways to avoid this fee) will be added. Finish your booking. Remember, if you have Elite Status you get a carry-on and seat assignment for free! You can also call us at 801-401-9000 for an agent to complete your booking however, you will be charged a reservation service fee of $10. When you redeem your FRONTIER Miles for award travel, there are three different award levels available. Redemption levels tell you how many miles you need to book a particular flight, busier travel times may require more redemption miles. Remember, there are no blackout dates! include the same benefits of our Standard Fare. These tickets start at 10,000 mi one-way + taxes and fees. include the same benefits of our Standard Fare & offers more availability of flights than the Value Award. These tickets start at 20,000 mi one-way + taxes and fees. Last Seat Award - Elite Only! See Program Terms and Conditions for additonal details and information. Award tickets are subject to award fees that are based on when you book your travel. 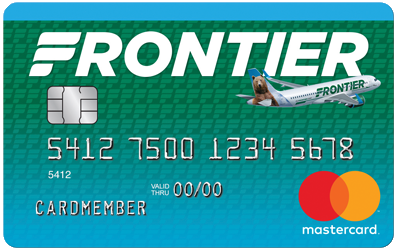 Frontier credit card holders get redemption fees waived. Don't have the card? Learn More & Apply today! If you qualify for Elite Status your redemption fees will be waived. Learn More about Elite Status! When you book flight(s) 180 days or more prior to your travel you don't have to worry about redemption fees. Traveling companions booked on the same reservation as a Frontier credit card holder or Elite Status member enjoy waived redemption fees. If you would like to cancel your Award Ticket, you may cancel your itinerary and redeposit your FRONTIER Miles back into your account for a $75 redeposit fee. Redeposit fees are non-refundable and tickets must be cancelled prior to departure of the flight to retain their value. This fee is waived for Last Seat Award flights. See Program Terms and Conditions for additional details and information. FLIGHTS AREN’T THE ONLY WAY TO REDEEM. Did you know the FRONTIER Miles you earn in the air can also be used on the ground? From rental cars to magazine subscriptions, you can always redeem your miles with one of our many partners.